I love the story of Rhonda and her fiancée, Mark. Their proposal is such a fun and unique story. Usually I will write the story in my own words, but I feel like I can't quite do it justice, so here is the story in Rhonda's words...."Mark proposed at Six Flags New Jersey at the conclusion of a week-long "50 year anniversary" celebration for his parents. He is the love of my life and I would do anything for him. So when he asked me to ride the Kingda Ka roller coaster with him at Six Flags, I was absolutely terrified but said I would do it if it meant that much to him. It turns out Mark is a roller coaster fanatic, but I had NEVER been on a coaster before in my life. This is the tallest and fastest coaster in the world (128MPH in 3.5 seconds, 90 degrees straight up almost 500 feet in the air, and ending in a 270 degree spiral down). My stomach felt queasy that entire morning, and the uneasy feelings mounted as we approached the front of the ride. We were next up and right before the coaster car came, Mark wrapped his arms around me from behind and whispered in my ear, I am so proud of you, that you would do this for me given how terrified you are. Now I want to do something for you. He asked, "will you marry me and make me the happiest guy in the world!?" He then opened up a little blue box and said "this is for you" and it was the most beautiful sparkly diamond ring ever! Of course I said YES!! A minute later, still waiting, it was announced that the ride was stopped and being taken out of service due to a technical difficulty. YAYY!!! They said we could wait in line but couldn't tell if this was a half hour fix or if the ride would be shut down all day. So we stayed and admired my ring for about 25 minutes before they finally re-opened -- and we were the first riders to get back on this coaster! In the 29 seconds it takes to complete this ride, I screamed from start to finish and then it was all over! The ride that is :). It was one of the most exhilarating moments of my life -- for 2 reasons!". 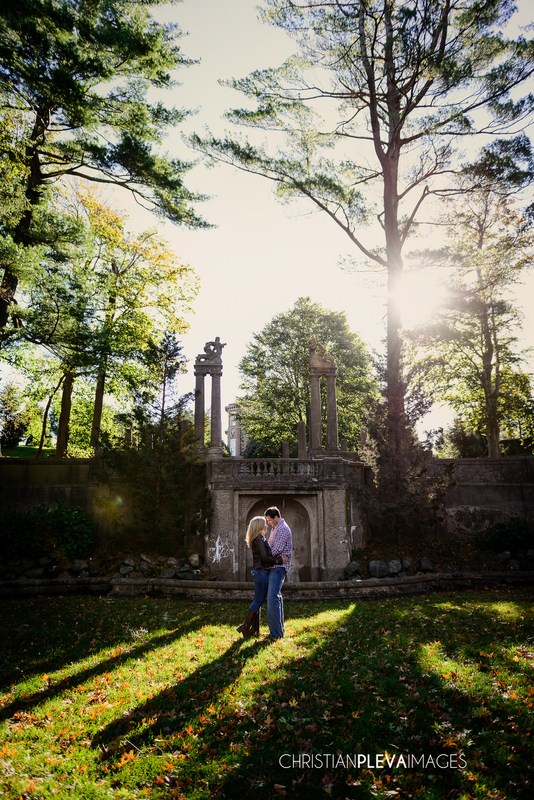 We were in awe of the beauty at the Crane Estate, where the couple chose to shoot the session and working with them was wonderful! They are so in love and continually were lost in each other's eyes so it made capturing their love easy! I hope you guys like the sneak peek, we can't wait to show you the full collection!